Individuals from Vanderbilt present and past who have made Vanderbilt a more inclusive space for black students, faculty and staff are the subject of 10 new portraits unveiled by the Bishop Joseph Johnson Black Cultural Center Oct. 10. The 10 Legacy Pioneer Portraits, which were painted by James Threalkill, BS’79, will hang in the Study Lounge inside the Black Cultural Center. The portraits unveiled in the Black Cultural Center today include Rev. Walter R. Murray, Chancellor Nicholas S. Zeppos, Eileen Carpenter, Sheryll Cashin, Peter Pratt, Ray Winbush, Tonya Mitchell, Monica Peek, Akaninyene Ruffin and former Chancellor Gordon Gee. Noble notes that this is just the first class of Legacy Pioneers and that there is much more to come. The Legacy Pioneers initiative was inspired by the Lost in the Ivy project, which Noble established back in 2007. 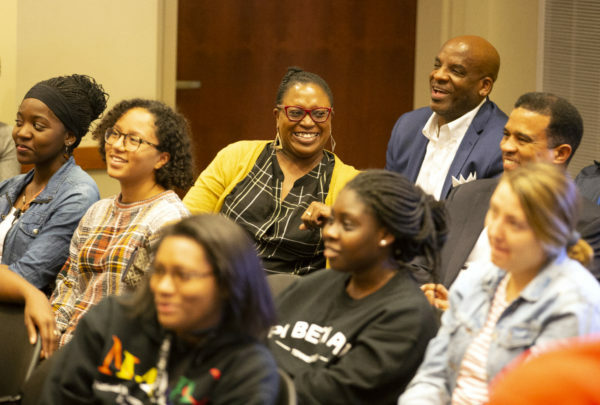 Lost in the Ivy comprises hundreds of interviews and personal narratives on the African American experience at Vanderbilt, which includes faculty, staff, students, and alumni from across the university. More than 500 interviews have been conducted to date and the project has brought to light many stories that for years remained untold. 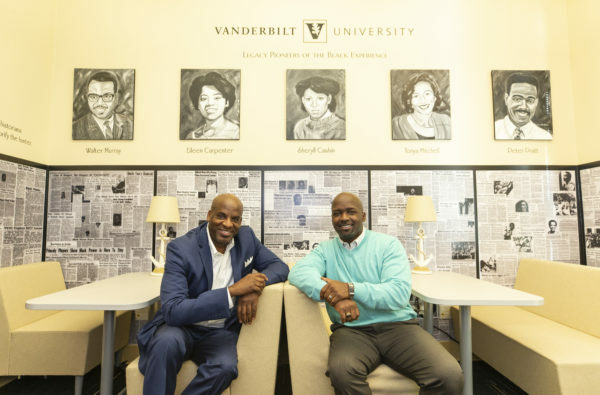 The Legacy Pioneer initiative came to life when Noble repeatedly heard the stories told during the interviews about the lasting impact of particular individuals or events in improving the Vanderbilt culture. Subsequent research through old newspapers, magazines and other artifacts confirmed the oral narratives and identified some individuals as pioneers for their enhancements to the black experience. The Legacy Pioneers portraits will hang in the undergraduate study lounge. The lounge displays a wallpaper created especially for the room, comprised of a collage of newspapers articles pulled from the archives of The Hustler. All of the articles displayed reference black people or black issues spanning from 1964 through December 2017. In addition, the newly renovated Legacy Lounge re-opened inside the Black Cultural Center with an expanded historical timeline containing over 500 facts related to black history at Vanderbilt. Ultimately, Noble hopes that the students, faculty and staff who see these portraits will be inspired and motivated to continue the efforts of those who came before them.